Alon Chen, Israel Product Marketing Manager, and Ramya Raghavan, News and Politics Manager, recently watched, “Two Questions for PM Netanyahu”. 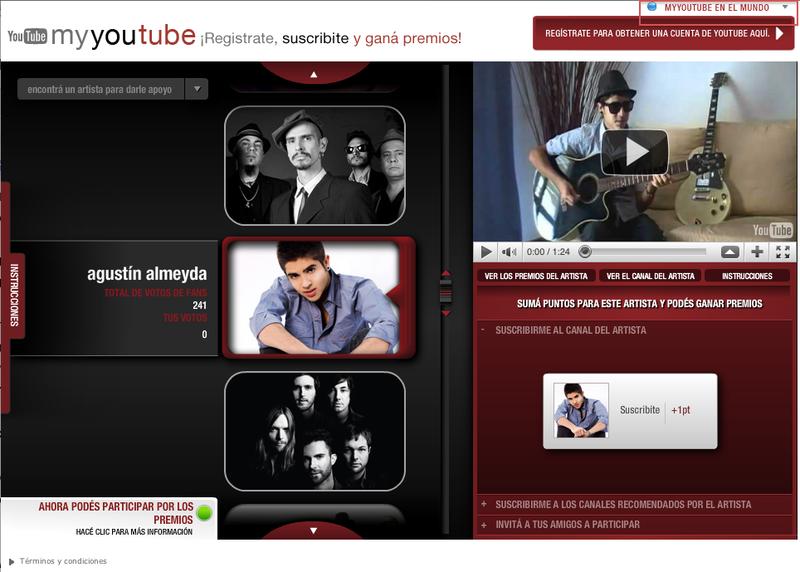 , the weekly blog feature that lets you know what music we’re featuring on YouTube -- and why! Dig in and discover some new -- and old -- music with us this week. The cat’s out of the bag by now: Radiohead made their entire new album available on YouTube yesterday. (Let the wild rumpus start!) But this week we aren’t just saluting those deities of indie rock’s Mt. Olympus; we’re also swooning for up-and-coming Swedish alterna-folk act Fredrik. The group crafted a dreamy, album-length video premiere for the soon-to-be-released “Flora.” The video follows a toy wolf named Ylva as she wanders through the small Swedish town of Malmo, and the visuals are almost as hypnotic as the delicately rendered, space-engendering music that accompanies it. Led by mastermind James Murphy (who only put together a group for live performances), LCD Soundsystem married rock’s edge with electronica’s love for the dance. It was an unlikely experiment which Murphy himself reportedly didn’t take seriously at first, and which saw Murphy vocally aping his inspiration, Mark E. Smith of The Fall. But three Grammy nominations (and one win) later -- and after seeing last year’s release “This Is Happening” hailed on many critics’ end-of-year lists -- Murphy is hanging up the microphone on this particular project. We salute the band the only way we know how: with a playlist. Every so often, a video comes along that simply brings joy to your heart. The song is great, and the video just begs to be watched over and over. American soul singer and rapper Aloe Blacc uploaded one of those just a few weeks ago, and we haven’t stopped watching since. Blacc is a compelling figure all on his own, but check out the amazing kid he dances with! Welcome back to Music Tuesday, the weekly blog feature that lets you know what music we’re featuring on YouTube -- and why! Dig in and discover some new -- and old -- music with us this week. blog post last July. In the coming weeks, all YouTube accounts created before May 2009 will need to complete the process of linking to a Google account. A Google account is a single-sign in system for accessing all Google products and services. Any existing email address can be used to create a Google account. You’re probably asking yourself ‘‘Why am I being required to connect my YouTube Account with a Google Account?” Well, let’s use an analogy. Imagine instead of that sleek new mobile phone you bought last year, you were instead carrying around one of those big brick phones from the 90’s. It might still make calls, but it would be slow and bulky and unable to do 90% of what current smart phones do. Your old YouTube account is a lot like that cell phone. It still works, but it’s not as fast, secure and efficient as the Google Account we’re asking you to link to. While we understand that change isn’t always welcome, we’re confident that this transition will result in a better experience for you on YouTube. Not only does connecting your YouTube account to a Google Account improve your account security, it will also give you better video recommendations and quick access to the very latest updates and features which our engineers are releasing on the site every week. After linking to a Google Account, your YouTube username will stay the same. However, when you link to a Google Account, your old YouTube password won’t work anymore. After linking, you’ll instead need to use your Google Account password when you sign into YouTube. If you’re still experiencing difficulties, you can contact our support team. We know this process isn’t always easy, and it can sometimes be frustrating, but hang in there. Connecting your accounts will create a better, more up-to-date and secure YouTube experience and we’ll do our best to do everything we can to guide you through this process. Over the last several months many of you who created a YouTube account before May 2009 may have seen prompters asking you to upgrade to a Google account. We first announced this transition in a blog post last July. In the coming weeks, all YouTube accounts created before May 2009 will need to complete the process of linking to a Google account. A Google account is a single-sign in system for accessing all Google products and services. Any existing email address can be used to create a Google account. clicked onto the Mountain View, CA, campus in her impossibly tall black boots. The diminutive superstar wowed a capacity crowd in a venue that was (literally) packed to the rafters with adoring Googlers. In a wide-ranging interview that saw Gaga taking questions from fans via Twitter and Moderator, the musician spoke about everything from bullying to Rebecca Black, the creative process and her upcoming album. She took questions from the audience—hugging several Googlers in the process—and even became a judge when a gaggle of Gaga-alikes flooded the stage. True to form, the singer was by turns funny, thoughtful and inspiring. But don’t take our word for it — you can watch the entire Q&A now on YouTube. Google went totally Gaga yesterday, when the indomitable artist otherwise known as Stefani Germanotta clicked onto the Mountain View, CA, campus in her impossibly tall black boots. Duran Duran, the iconic '80s band who’s returned with a new album and tour, will be broadcasting their UNSTAGED performance live at 7 p.m. PT tonight, March 23, on their YouTube channel. The show is part of YouTube’s UNSTAGED concert series, presented in partnership with Amex and VEVO, and it will be directed by famed cult director David Lynch. Few bands embodied the 1980s like Duran Duran. They had the best hair, the loveliest makeup, outlandish fashion...and they released a slew of amazing pop songs other bands would have killed to have written. “Planet Earth” is a case in point: one of their earliest hits, it encompasses the style that would make them famous. In recent years, groups from across the musical spectrum have both embraced and been influenced by Duran Duran’s sound. But despite their success, the band hasn’t rested on their laurels. Working with famed producer Mark Ronson (Amy Winehouse, Kaiser Chiefs), they released the new album “All You Need Is Now” this week; the first single is a startling and modern pop confection. And for fans who are looking to learn more about a group who’s held the public’s attention for so many years, you’re in luck. Director David Lynch has been following the band and capturing amazing behind-the-scenes footage. He’s asked the band about their firsts -- first concert, first band, first moment they were truly starstruck. He’s also been inviting the guys to record their dreams in a video journal. Simon LeBon offers up a fascinating one for your interpretation below. So don’t forget to tune into Duran Duran’s channel on Wednesday, March 23 at 7 p.m. PT to watch them live in concert. If you miss the live broadcast, catch show highlights on their channel immediately following the event. -- and why. We’ll share the videos that have us tweeting obsessively, playlists which delve into all the great new (and old!) music scenes percolating on the site, and even the occasional streaming album premier. Sure, we’re only scratching the surface of YouTube’s vast musical universe -- but you’ve got to start somewhere, right? Welcome to the first edition, and we hope you discover some great music with us! We had a big presence last week in Austin. Besides our excellent party, we were also psyched to partner this year with the taste-making New York record store Other Music and indie videographers Dig for Fire to present their two-day Lawn Party. The list of performers was stellar: James Blake, !! !, Ted Leo and the Pharmacists and many more. Dig for Fire has graciously put together some exclusive videos for us, featuring live performances and backstage interviews. Kick back and watch; now’s your chance to feel like you had a VIP badge. Music Discovery: The ‘80s are back...again! This week also sees the release of a new Duran Duran record and The Cars’ first single in 24 years. Yes, you read that right: it seems the current love affair with the ‘80s is not just inspiring indie bands anymore; it’s actually resurrecting iconic ‘80s bands themselves. Which is, let’s admit it, kind of awesome. Who doesn’t want to hear more from Ric Ocasek? If you haven’t heard of Pharoahe Monch, now’s the time to jump on the bandwagon. This underground emcee is one of the lyrical princes of hip-hop, the kind of lyricist others turn to for inspiration. He’s an unflinching truth-teller with a political edge, and his deft, literate lyrics will stun you with their sound as much as their sense: the man is a master of the internal rhyme. Monch returns this week with his third full-length, “W.A.R. (We Are Renegades),” and we’re streaming it to you, in its entirety, this week. Stay tuned and check back next week to discover more music. Today we’re launching a weekly blog series in which we discuss the music we’re featuring on youtube.com/music -- and why. We’ll share the videos that have us tweeting obsessively, playlists which delve into all the great new (and old!) music scenes percolating on the site, and even the occasional streaming album premier. Sure, we’re only scratching the surface of YouTube’s vast musical universe -- but you’ve got to start somewhere, right? Welcome to the first edition, and we hope you discover some great music with us! Stabilizer - Ever shoot a shaky video that’s so jittery, it’s actually hard to watch? Professional cinematographers use stabilization equipment such as tripods or camera dollies to keep their shots smooth and steady. Our team mimicked these cinematographic principles by automatically determining the best camera path for you through a unified optimization technique. In plain English, you can smooth some of those unsteady videos with the click of a button. We also wanted you to be able to preview these results in real-time, before publishing the finished product to the Web. We can do this by harnessing the power of the cloud by splitting the computation required for stabilizing the video into chunks and distributed them across different servers. This allows us to use the power of many machines in parallel, computing and streaming the stabilized results quickly into the preview. You can check out the paper we’re publishing entitled “Auto-Directed Video Stabilization with Robust L1 Optimal Camera Paths.” Want to see stabilizer in action? You can test it out for yourself, or check out these two videos. The first is without stabilizer. 3D - When we first launched our 3D product one of the hardest parts turned out to be actually building our makeshift 3D camera to film our introductory 3D video (two flip cameras mounted to a flat metal bar 10 inches apart and using $8 worth of bolts and brackets we bought at the hardware store). Although the side-by-side compositing needed for 3D uploads isn’t complex, it’s unavailable in free editing tools. This was frustrating because although users could film using a pair of cameras, the 3D feature was still out of reach. And synchronising the two cameras is an added challenge. If you've used a pair of cameras to capture stereographic video, but need the two streams to be synchronized and laid out in a way compatible with YouTube's 3D feature, this new tool will do the work for you. Feel free to try it out. One of the great things about YouTube is being able to launch products quickly with a small team of engineers that impact hundreds of millions of users from around the world. In this case we had seven engineers and one designer who’ve contributed to this product. We look forward to announcing more Editor enhancements down the road. Let us know what you think and paste links of your stabilized or 3D-ified videos in the comments below. YouTube Partner Program. We want more people from across Europe to join in! That’s why we’re hosting the first ever European YouTube Partner events dedicated to the producers, directors, writers, artists, video and media professionals of the future. The events will take place in six cities across Europe between March 31 and April. Madrid - March 31, 2011, at Hotel Silken Puerta América Madrid - RSVP here. Paris - April 4, 2011, at Les Docks de Paris - Dock Eiffel - RSVP here. Berlin - April 6, 2011, at Postbahnhof - RSVP here. Amsterdam - April 8, 2011, at Amsterdam Convention Factory - RSVP here. Rome - April 11, 2011, at Salone delle Fontane - RSVP here. London - April 14, 2011, at Ravensbourne Design College - RSVP here. Spaces are limited, so register now to secure your seat. Thousands of online video creators across Europe are taking their creative talents to YouTube, generating big followings and earning money as part of the YouTube Partner Program. We want more people from across Europe to join in! , a channel that aggregates video messages from the sufferers of the massive earthquake and tsunami that hit northeastern Japan a week ago. 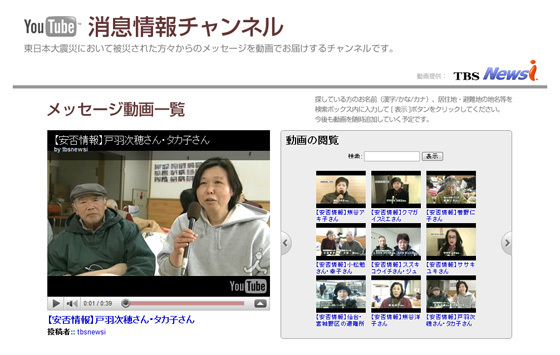 We’re in the process of adding more than 80 video messages shot at the shelters by TBS, a major TV station in Japan, and we’ll try to increase the number of videos by adding more more content from other TV stations and news network in the coming days. We’re also trying to include videos shot by the individuals impacted themselves, but we have to wait until the infrastructure situation there recovers. You can search for videos via the search box within the module: enter the names of a missing person in Kanji, Katakana, or Hiragana letters (sorry Japanese letters only); the name of the place they lived; or the name of the shelter locations. You can also browse videos by Japanese alphabet on the playlist embedded within the video navigator in middle of the channel. We also link to the Google Person Finder tool. Our hope is that this channel will help victims and their families to establish each other's safety, and that the video messages will reach many viewers and motivate them to contribute to the recovery and restoration of the disaster-stricken areas. Please watch the message videos and pray for their safety and reunion of families and friends involved in the disaster. Tai Hasegawa, Product Marketing Manager, recently watched "Fighting Against the Invisible: interview with Hyper rescue squad leaders who worked on cooling operation of the nuclear reactors." Two days ago we built YouTube Person Finder (消息情報), a channel that aggregates video messages from the sufferers of the massive earthquake and tsunami that hit northeastern Japan a week ago. , the organization devoted to Ideas Worth Spreading, announced a similar mission late last year with their inaugural Ads Worth Spreading challenge, designed to solicit best-in-class ads that raise the bar, elevate the craft and invent new forms of engagement, both online and in general. Video is a powerful medium for spreading ideas. Our mission--like TED’s--is supported in part by advertising. Any great video--whether original content or advertising--should make you think, make you respond, and make you want to share. We hope to continue to see more enthusiasm and more passion in online advertising, solidifying it as the medium that elevates the craft and practice of brands spreading ideas. The winning videos can be seen today on the YouTube homepage, and you can also take a look at behind-the-scenes commentary on YouTube Show & Tell, our resource for the best creative marketing on YouTube. People use YouTube to create original content that will connect, inform and inspire others across the globe, and we encourage advertisers to do the same. It is our goal to recognize and give praise when brands create content that people seek out, love and share with others. TED, the organization devoted to Ideas Worth Spreading, announced a similar mission late last year with their inaugural Ads Worth Spreading challenge, designed to solicit best-in-class ads that raise the bar, elevate the craft and invent new forms of engagement, both online and in general. uploaded to YouTube, millions of video views, and hours of rehearsals, finally comes to life this Sunday, March 20. It has been an extraordinary experience for the 101 winning musicians of the YouTube Symphony Orchestra, and in just a couple of days their collaborative experience will come to life at Sydney Opera House. The week-long YouTube Symphony Orchestra 2011 festival includes musical collaboration between orchestra members and world-class mentors, outdoor performances, local Aussie experiences, ensemble concerts and more. 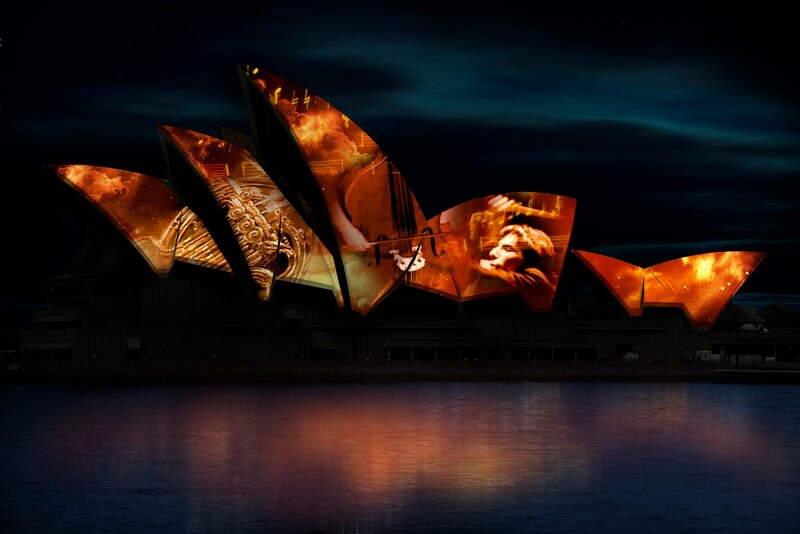 In just a few days, the creativity and technology that have powered this journey will literally light up Sydney Opera House—with animated visuals on the interior and exterior projections on the iconic sails, all synchronised to the music of the YouTube Symphony Orchestra 2011’s performance. You’re invited to experience this wonderful event, whether you’re inside Sydney Opera House, out around Sydney Harbour, or watching from your computer elsewhere in the world. The Grand Finale will be live-streamed on youtube.com/symphony beginning at 8:00pm Australian Eastern Standard time, and rebroadcast until the concert performance is uploaded in full, so tune in on Sunday, March 20. Partner Program. Talented Partners drew huge audiences with channels that showed people how to crochet flowers, apply the perfect lipstick - and sometimes just how to have fun. We believe that the successful singers, dancers, actors, producers, musicians and make-up artists of the future are practicing their craft on YouTube today. As we said recently, Partners are the heart of our platform, and we want to see even more of them take the next step in their YouTube careers and turn their video hobbies into careers or even businesses. We’re asking existing YouTube Partners to apply with a short (up to three minute) video that best represents their craft and the initiatives that they’d like to pursue on YouTube--whether it be a new brand of talk show, short film, or other type of new content. We’re also asking for short written responses that explain how they’ll use the $35,000, why they want to be part of the program, and what they hope to learn at the YouTube Creator Camp. Partners can apply at youtube.com/youtubenextup by midnight PT on March 27, 2011. Our Partners succeed thanks to the support and interest of the YouTube community, so we’re encouraging the community to cast their votes on the long list of finalists from March 29 to April 8 at youtube.com/creators, to indicate who they want to see among the next generation of stars. And after this public voting ends, a final shortlist of Partners will go forward to the final round, judged by a panel of YouTube representatives. Final YouTube NextUp winners will be announced on April 20 at youtube.com/creators. Who should apply? Up-and-coming Partners (those with less than 300,000 subscribers) who are committed to advancing their YouTube careers and to produce the next generation of fresh, compelling content. Last week, we announced another initiative from YouTube Next, the YouTube Creator Institute - please note that eligible Partners need to choose whether to apply for either that program or YouTube NextUp - sorry, you can’t apply for both! Full program and application rules are here. Stay tuned for more YouTube Next initiatives over the coming months--both for Partners and creators in the United States and abroad. We’re excited to see what novel new online experiences and genre-pushing productions our talented Partners come up with. Apply today! Last year, our top YouTube partners generated more than 100 billion views and drew in millions of dollars through our revenue-sharing Partner Program. Talented Partners drew huge audiences with channels that showed people how to crochet flowers, apply the perfect lipstick - and sometimes just how to have fun. Through Good Work, nonprofits from all over the world can submit a brief for a video ad promoting their cause. These organizations often lack the resources and time to create a truly great ad for their cause -- and this is where you can help. Pick a brief you want to work on from the Good Work briefs gallery and make an ad for that organization. Your ad can be inspirational, thought-provoking, funny, or serious -- just make sure it’s also innovative and compulsively watchable. The deadline to submit your entry is May 9, 2011. A jury of top industry experts chaired by Craig Davis, Chief Creative Officer Publicis Mojo and founder of Brandkarma, will announce the winners on May 21, 2011. We know creative people on YouTube love turning an idea into a brilliant production. We also know they want their work to matter. Ooh la la -- ask Gaga a question! everything you’ve always wanted to know. What’s life like on tour? What’s her favorite YouTube video? Was the meat dress really made of meat? You have until midnight PT on March 18 to submit a video or text question, so just head to Gaga's channel to submit your query or vote on the ones you want us to ask. You can also tweet your question with the hashtag #GoogleGoesGaga. We’ll share the interview with you shortly after it’s uploaded to YouTube. Attention little monsters! Channel your inner Oprah, because now is your chance to ask Lady Gaga everything you’ve always wanted to know. What’s life like on tour? What’s her favorite YouTube video? Was the meat dress really made of meat?
. Although emotionally captivating, they can be jerky, blurry or unsteady. What if there was a technology that could improve the quality of such videos -- sharpening the image, reducing visual noise and rendering a higher-quality, steadier video -- all while your video is simply being uploaded to the site? You can imagine how excited we were when we discovered a small, ambitious company based in Ireland that can do exactly this. Today, we’re pleased to announce we’ve acquired Green Parrot Pictures, a digital video technology company founded by Associate Professor Anil Kokaram at the Engineering School of Trinity College in Dublin, Ireland. In the last six years, their small team of engineers has built cutting-edge video quality improvement technology that has been used in major studio productions from Lord of the Rings to X-Men to Spider-Man. Their technology helps make videos look better while at the same time using less bandwidth and improving playback speed. If you’re interested in seeing some of the incredible work Green Parrot Pictures has previously done, check out some of the videos on their website. With the equivalent of over 170,000 full-length movies uploaded to YouTube every week, the team’s experience in this area -- working on solutions for both video consumers and experts alike -- will be a source of new ideas and further innovation at YouTube and across Google. We look forward to working with them to make the videos you upload every minute of every day to our site look even better. At YouTube, we see 35 hours of video uploaded to the site every minute from people all over the world. Some videos are beautifully shot by professionals or aspiring filmmakers using the very latest in HD cameras and equipment. But some of YouTube’s most popular or moving videos are shot using low-quality mobile phones and video cameras. Take, for example, videos of recent protests in Libya. Although emotionally captivating, they can be jerky, blurry or unsteady. What if there was a technology that could improve the quality of such videos -- sharpening the image, reducing visual noise and rendering a higher-quality, steadier video -- all while your video is simply being uploaded to the site? You can imagine how excited we were when we discovered a small, ambitious company based in Ireland that can do exactly this. As the situation in the Middle East continues to unfold, YouTube World View invites you to submit your questions for one of the most influential leaders in the region - Israeli Prime Minister Benjamin Netanyahu. The interview, which is presented in partnership with Channel 2 News, will be 100% comprised of your top-voted questions. Whether you want to know about the popular upheavals in neighboring Middle East countries, the potential consequences of Iran getting nuclear weapons, peace talks with the Palestinians, or prospects for Israel’s hi-tech industry, ask your question at www.youtube.com/worldview, in either English or Hebrew (half of the interview will be conducted in each language). You can also submit your question via Twitter - just make sure to use hashtag #askNetanyahu. On Wednesday, March 30, Prime Minister Netanyahu will sit down for a live interview and answer a range of the most popular questions submitted and voted on by you. The interview will be the first event in Israel ever to be streamed live on YouTube.The deadline to submit your question is Monday, March 28th at midnight GMT. As well as his interview with the YouTube community, Mr. Netanyahu will also answer the same “Big Three” questions posed to Prime Minister David Cameron and a host of other well-known personalities, so stay tuned to find out which world leader Mr. Netanyahu would most like to pose a question to. ,” an historic cinematic experiment to document a single day on earth. The film, directed by Kevin Macdonald, produced by Ridley Scott and filmed by YouTube users around the world, had its premiere at the Sundance Film Festival in January and is now part of the official line-up at SXSW. For those of you in Austin next week, you can catch screenings of the film Wired Magazine called “provocative, gorgeous and...deeply moving” on Tuesday, March 15, at 11:30am at The Paramount; Wednesday, March 16, at 9pm at Regal Westgate Stadium; and Saturday, March 19, at 7:30pm at The Alamo Lamar 6. The bands are amazing, and if you’re a 21+ badge-holder, the price is right. Beatboxing wizard Beardyman, the crazily talented (and yes, funny) British artist who’s used YouTube in pretty creative ways opens the night. Then it’s on to Playing for Change, the heartwarming and mostly virtual collective of musicians from around the world; be prepared to sing along. Next up is budding Danish electro-pop sensation Oh Land, whose inventive compositions hide a solid pop sensibility in their dreamy folds. The night closes with Das Racist, a comic rap group who have landed on so many critics’ lists recently, you might be forgiven for thinking they’re actually serious artists. (Okay, they actually are.) They’ve also had a strong YouTube presence since their start. You’ll be able to check out all these musicians on the YouTube homepage this Tuesday. YouTube is supporting NPR’s showcase event, which is headlined by Brooklyn “nightmare shoegaze” act The Antlers, a group who won attention for its 2009 cycle of absorbing and intensely felt songs. Also on the bill are Welsh indie band The Joy Formidable and indie supergroup Wild Flag, which includes members of Sleater Kinney among many others. Mali’s diva Khaira Arby is a live singer of stunning power who recently collaborated with Brooklyn group The Sway Machinery; watch out for an incantatory set. Oakland’s brilliant sonic tinkerer tUnE-yArDs will make an appearance, and get there early to see Colin Stetson, the Arcade Fire saxophonist whose new solo album is a remarkable piece of avant-garde composition. (Rarely has a sax sounded so little like a sax!) The show is free and open to the 21+ public. When the iconic, taste-making New York record store Other Music and video-making wunderkinds Dig for Fire join forces to produce a two-day event with four sets, watch out. You could be entering music heaven in the form of a lawn party. Headliners include dance-punk darlings !! !, buzzworthy indie rocker Ted Leo, Scotland’s guitar-pop guru Edwyn Collins and the afore-mentioned tUnE-yArDs. Our money’s on James Blake’s 5 p.m. Friday set to bring down the, uh, lawn with his soulful, minimalist meditations -- and there are a slew of other wonderful musicians rocking the two stages both days. It’s that time of year again. Austin BBQs are prepping their short ribs while a vast array of musicians, filmmakers, and the tech-obsessed head down to the Lone Star State for SXSW’s Music, Film and Interactive Festival. And YouTube, of course, will be there! YouTube has been a home for independent artists of all stripes since its inception. Recently, we put independent and aspiring film-makers on the world stage with “Life in a Day,” an historic cinematic experiment to document a single day on earth. The film, directed by Kevin Macdonald, produced by Ridley Scott and filmed by YouTube users around the world, had its premiere at the Sundance Film Festival in January and is now part of the official line-up at SXSW. For those of you in Austin next week, you can catch screenings of the film Wired Magazine called “provocative, gorgeous and...deeply moving” on Tuesday, March 15, at 11:30am at The Paramount; Wednesday, March 16, at 9pm at Regal Westgate Stadium; and Saturday, March 19, at 7:30pm at The Alamo Lamar 6. Hollywood comes to YouTube with "Girl Walks Into A Bar"
Combine some tinseltown stardust with a forward-thinking director and what do you get? Hollywood's first feature-length film created specifically for the internet. Presented by Lexus and now playing in the YouTube Screening Room, Girl Walks Into A Bar is a comedy about a seemingly unrelated group of characters spending a single night at ten different bars throughout Los Angeles. Directed by Sebastian Gutiérrez, the film stars (among others) Carla Gugino, Zachary Quinto, Danny DeVito, Rosario Dawson, Josh Hartnett and Emmanuelle Chriqui as a desperate dentist, an undercover private detective, a pickpocket, a gangster, and an exotic dancer. Since the movie is chaptered, you can either watch it in its entirety or in installments via the playlist below. Nate Weinstein, Entertainment Marketing Manager, just watched "Girl Walks Into A Bar."